I recall watching the Last Samurai movie and wishing to visit the site where it was filmed as if it were yesterday. Well, ten days ago, my dream became reality, I stood as a witness of the majestic and aesthetic site. As our Telecabine was escalating through the cable to the top of the mountain I stood still contemplating the dense vegetation beneath my legs. The soothing effect of the green color, the chanting of the birds, and the sound of the water filled me with ecstasy. Cut off from nature for months, I stood there appreciating the beauty of the site. Temples were common around the area and a sense of peace encompassed the entire site. I believe that the reason why Japanese people are calm by nature, lies in what the dominant religion preaches, and that is the connection with the nature and the sources of Energy, the appreciation of the earthly bounties and their conservation and most importantly the meditation amidst a serene atmosphere and the heed to the sounds of nature. As we were visiting six destinations in Japan, we were compelled to take advantage of the sophisticated train system established within the country. In fact, prior to coming to Japan, Dr.C purchased for each of us the JR pass worth 1194 AED ($325) which was valid for 17 days. In order to get into a new city, we had to show our JR passes along with our passports to the officers at each station. 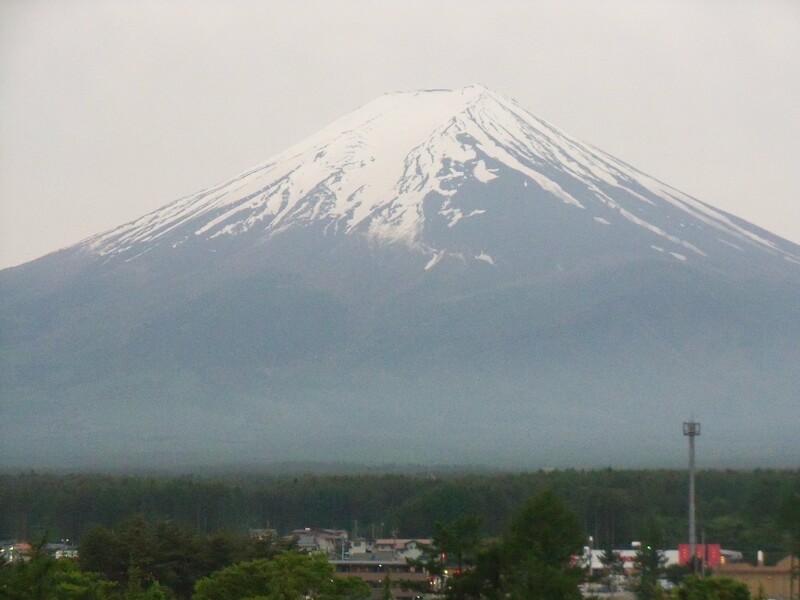 Travelling in the Shinkansen train was a blast. The train was equipped with toilets. There was a waitress that comes and goes. In case you needed anything, you just had to waive at her and she would immediately respond. Surprisingly, the train was also equipped with vending machines. What I found mostly astounding was the smokers cabine isolated from the rest of the cabines. Apparently, Japanese men enjoy smoking in closed places. 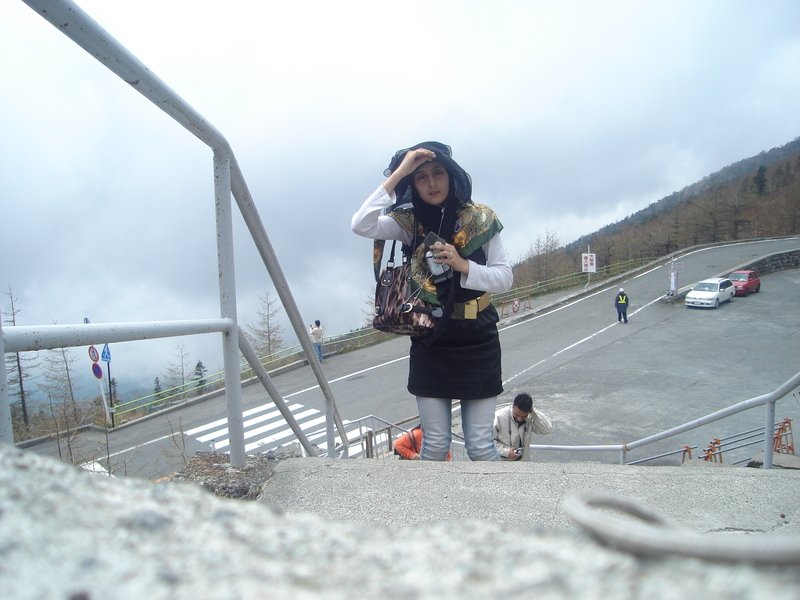 The trip from Tokyo to Osaka took us approximately three hours. For those of you who have read my post about the moroccan tea versus the Japanese tea, you would probably be wandering why did I allocate another article to talk about the Japanese tea ceremony? 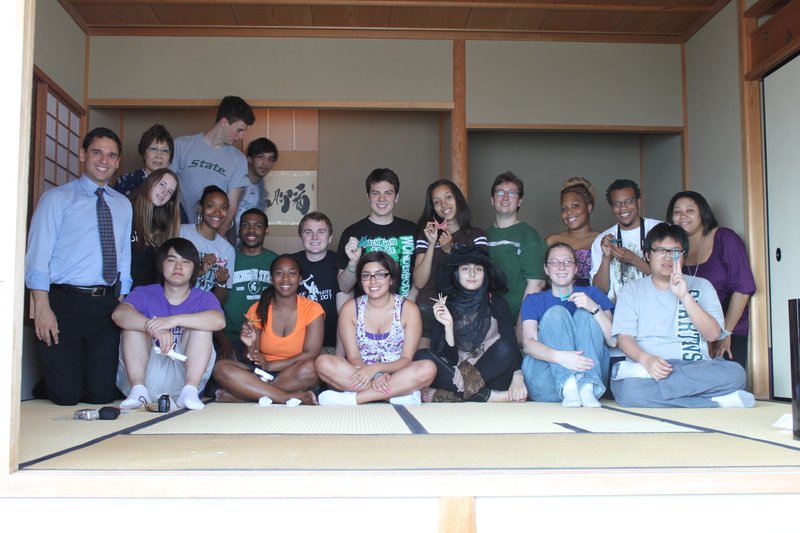 Allow me to introduce to you an unprecedented experience from which I learned patience, gratitude, and mutual respect. The mutual respect expressed through simultaneously bowing to one another portrays human egality, tolerance, and recognition of the other. The gesture ,in its essence, is the best expression of simpicity and consideration I have never seen in my life. First, we were asked to remove our shoes and to sit on the floor. Then, the woman serving the tea, came out and saluted us in such a humble manner. We watched her as she prepared the tea. We bowed, each of us, as she handed the tea cups. She then gave us each a bird made out of paper (the one I am holding in my hands) which, according to her, symbolized happiness. 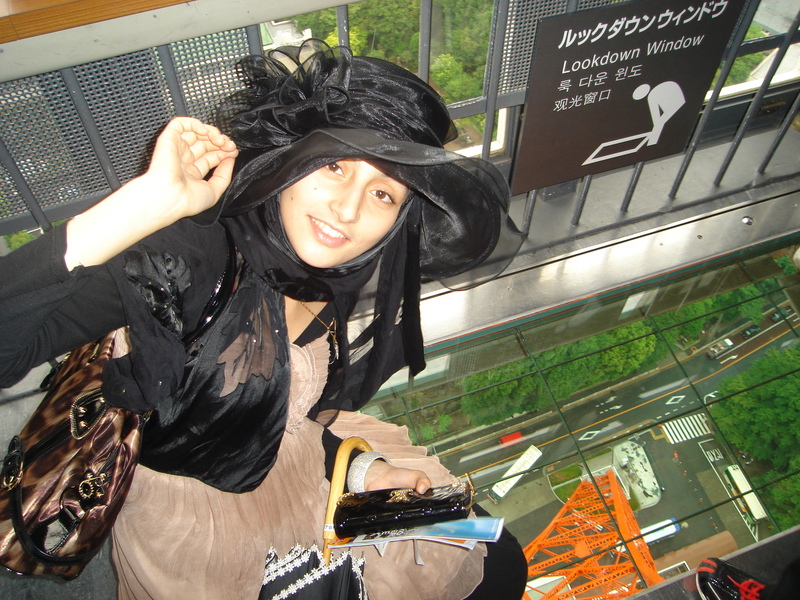 Tokyo tower is one of the places I longed to visit since arriving to Tokyo. The encompassing panoramic view is what spurred me to pay visit to this architectural wonder one more time. My second visit was not so cliché, I discovered a lookdown window, from which one can enjoy looking at his feet and feel as if hanged in the sky. At night, when lit the tower resembled the Eiffel Tower. 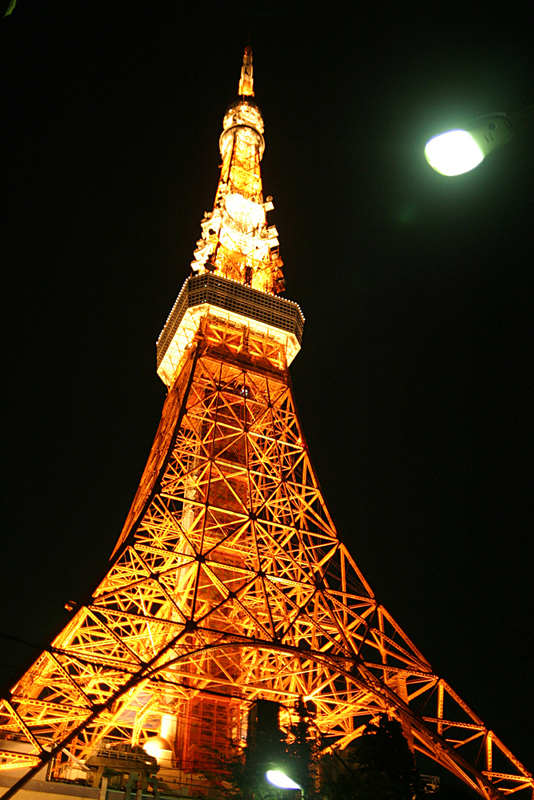 The tower is also known as a source of the waves transmitted to most broadcast stations in Tokyo. The tower is composed of a main observatory and a special observatory. The main observatory is divided into two floors (1F and 2F). During our class visit, we only had the chance to a 360 degree view from the main observatory located at a height of 150m. During my second visit, I ventured into the 25om high special observatory. To my awe, the metropolis looked way larger than I expected. I was able to see the rainbow bridge, the Tokyo Midtown tower, the sea that travels across the islands. There is always time for games! It is quite hackneyed to come across common places in Japan where people comgregate to play individual and collective games: these are common gaming areas with relatively cheap prices and a wide selection of games. What is better than playing against a friend in a car-race game after a hectic day at work or school? 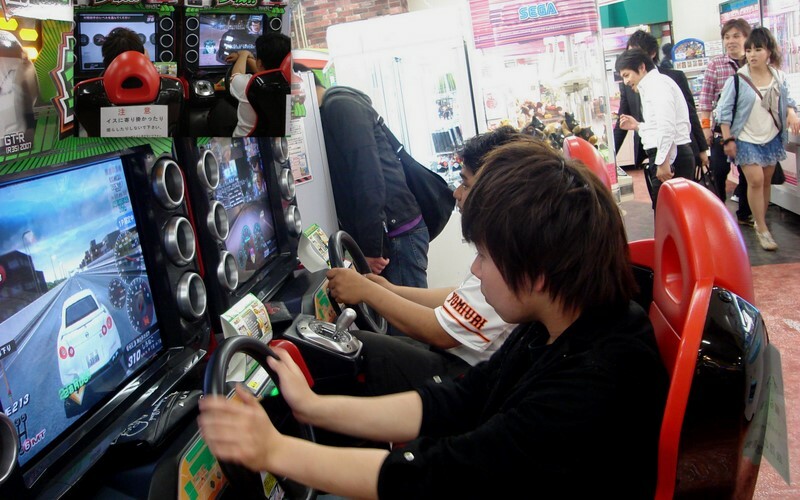 As a matter of a fact, in Japan, there is no age limit to playing games, people from different ages hit the gaming shops to unwind. There are video games of disparate genres: action, action-adventure, shooter, race, and fighting games. The other games were mainly dance games where u basically select a coriagraphy and u have to step on the buttons that light up one by one. 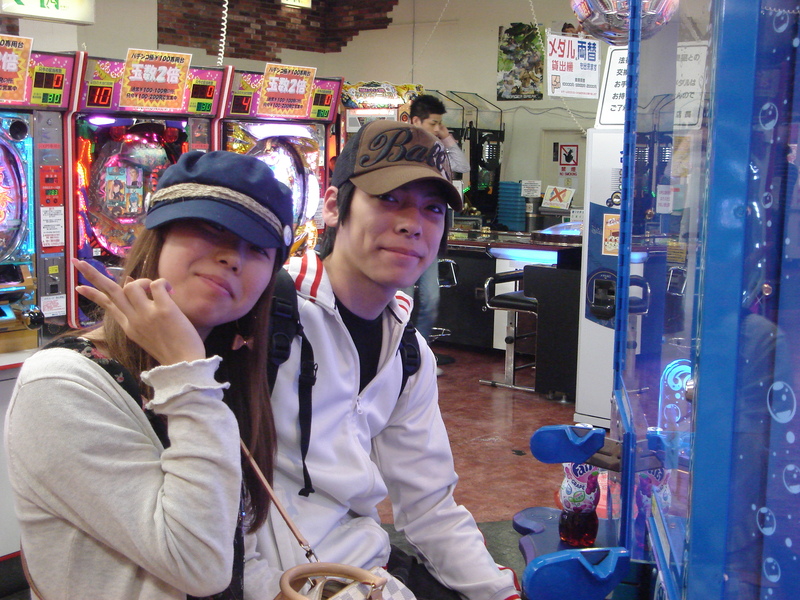 I ventured once inside one of these gaming places in Korakuen and I met two friends who showed me around. They advised me to try the car race game. I managed to take a picture of two teenagers racing against each other. Sushi and Sashimi are my favorite dishes! 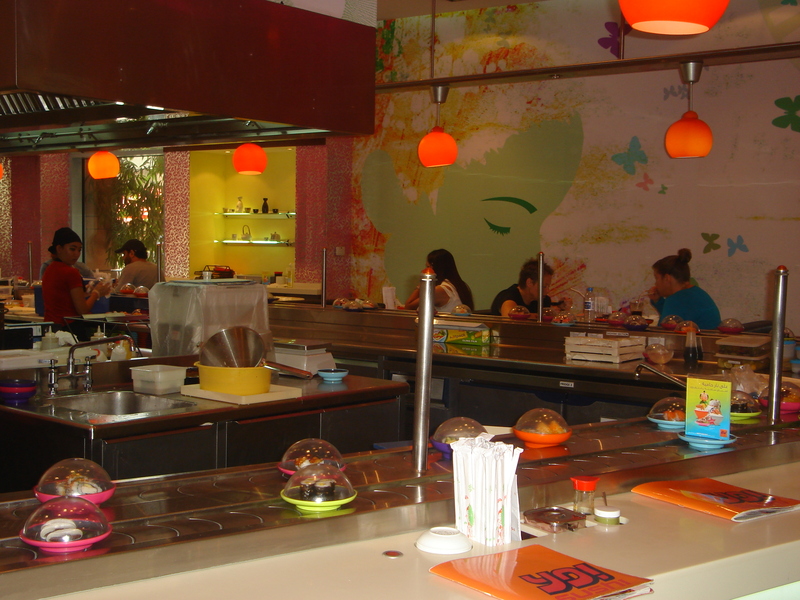 Prior to coming to Japan, I would frequently head to Yo sushi, a famous Japanese restaurants in Dubai,when eating out with friends or family! So far, every sushi plate I had tasted different. I loved the idea of having a wide selection of dishes, of different colors coding each for a price, all displayed on a running belt. I thought that thisi idea belonged to the restaurant’s owner. 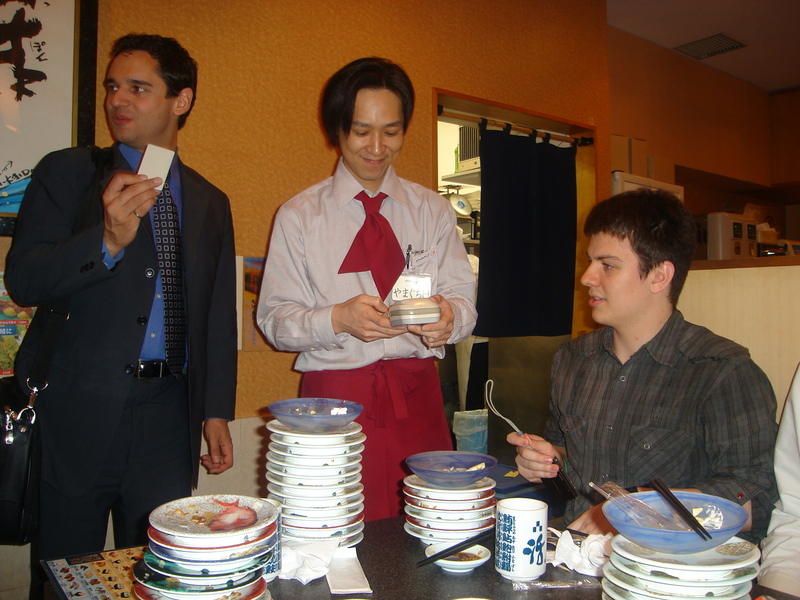 To my surprise, when Dr.C took us all to this sushi place in Tokyo, I could not believe my eyes. The place looked exactly the same with slight differences. The sushi place had a running belt, color-coded plates, a cook in the middle. The discerepancy, however, appeared in the service. In Dubai, you pay the cliche way, the waitor would count the plates and then bring you the bill in a paper In Tokyo, nevertheless the waitor would approach this engine that reads the codes on the plates and displays immediately the price.